Day Tours in Nepal has got various attractions for the tourist activities. During the day tours you can explore the natural wilderness, cultural heritages and enjoy the short adventure activities and different tour pattern. Day tours are mostly done in Kathmandu, Pokhara and other places. It includes Sightseeing, Bungy Jumping, Paragliding, and Mountain Bike tour, single day rafting, hiking and other programs. Day Tours in Nepal is interesting activities which is suitable for those who have the short vacations in Nepal, but have the strong desire to explore the Nepal within the short time. Normally, Day Tours includes the sightseeing in Kathmandu, Patan, Bhaktapur and the Pokhara too. All the visiting sites in Kathmandu, Patan and Bhaktapur are enlisted in the Worlds Heritage Sites UNESCO like Kathmandu Darbar Square, Swayambunath Temple, Bouddhanath Temple, Pashupatinath Temple, Patan Darbar Square, Changu Narayan and the Bhaktapur Darbar Square. Sauraha at Chitwan is popular for enrolling in adventure activities like Elephant Ride, Elephant Bathe, and Jungle Walk and so on. Similarly, rafting, paragliding, bungy jump. Mountain bike tour and the canoeing can also be the adventure holidays of anyone. In the same way, the hiking is another day hiking activity in Nepal. Basically, a day hiking is available nearby Kathmandu Valley and the Pokhara Valley such as Namo Buddha to Dhulikhel, Phulchowki Hill, Shivapuri National Park, Nagarkot, Nagarjun Hill, etc and the Sarangkot respectively. Almost all the hiking destinations are considered as the vantage point for looking the Himalayan ranges. 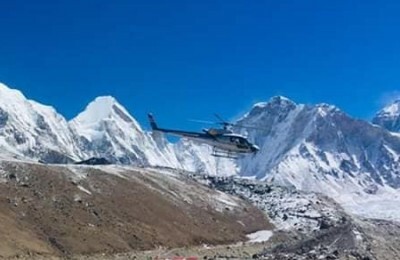 Rising Adventure P. Ltd. is a young and the energetic adventure tour operator and it is specialized in operating the day tours packages especially in Nepal. Please, join our Day Tours in Nepal Package. For more details, you can contact us at any time.